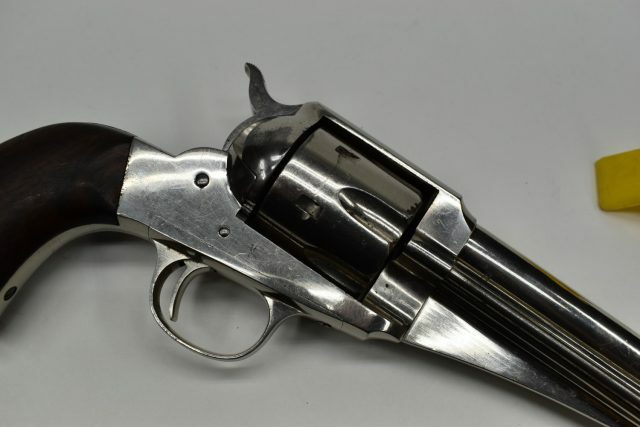 A well-kept and historically significant Remington model 1875 single action army chambered in .44-40. This is a nickel plated example stamped with serial number 708. 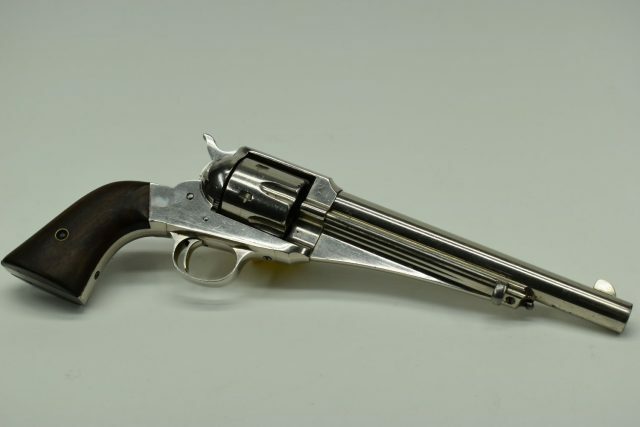 This is the 7-1/2" barrel model with a bore that still has a hint of shine, strong rifling and some even crazing throughout. The action works as expected and the lockup is tight with just the slightest play in the cylinder. 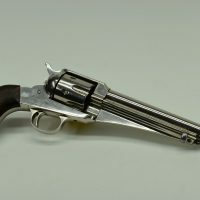 The Remington Model 1875 "Improved Army or Frontier Revolver" was produced from 1874-1888, with the model first appearing in the 1875 Remington catalog. 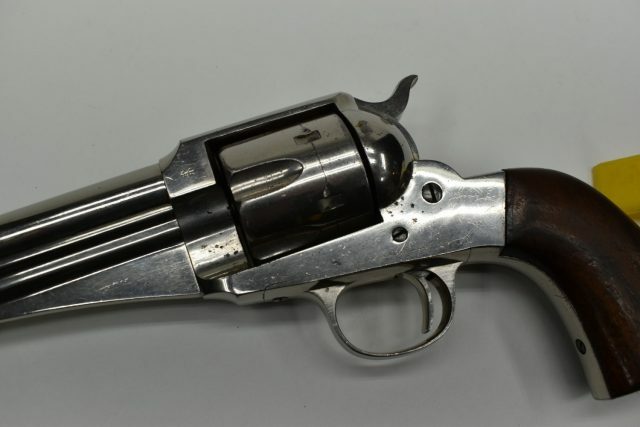 1885 and later Remington catalogs described the Model 1875 as the "New Model Army," rather than the "Improved Army." 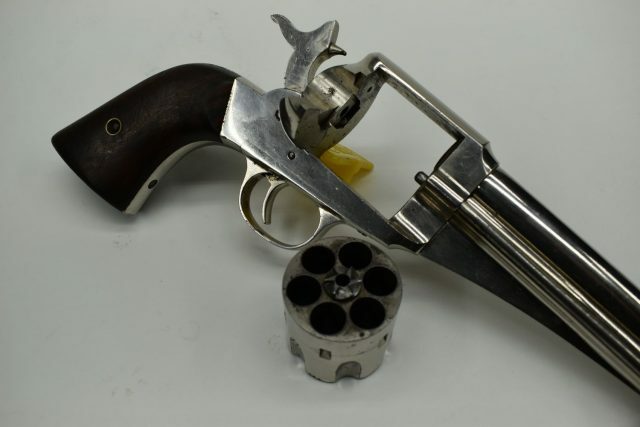 This is in high condition for a nickel plated pistol o this age and would certainly make a prized addition to any Remington or old west firearms collection. If you have any additional questions or would like additional photos please feel free to email us. Shipping is CONUS only and fixed at $50.00.